At least 20 people have been killed by two bombs during during a church service in the southern Philippines. 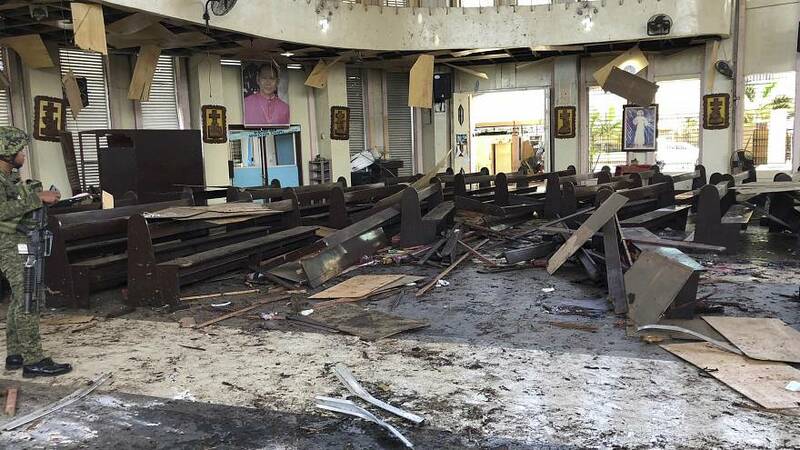 The first explosion happened inside the cathedral in Jolo on the island province of Sulu, the second in the car park outside. The explosions follow a referendum on autonomy for the mainly Muslim region, which returned an overwhelming "yes" vote. The referendum was followed by an announcement on Friday that the region, would govern itself by 2022 in the predominantly Catholic Philippines. Monday's referendum saw 85% of voters back the creation of an autonomous area called Bangsamoro. Although Sulu was among only a few areas that rejected autonomy, it will still be part of Bangsamoro. He added "We will use the full force of the law to bring to justice the perpetrators behind this incident," he said in a statement.